We are grateful to have the support of several agencies, organizations and companies from across the country. Two that we would like to highlight are American Humane and the Swiftwater Safety Institute. The sharing of knowledge and resources is instrumental to our success and we are always looking for ways in which to expand our network with others who want to make the world a better place. 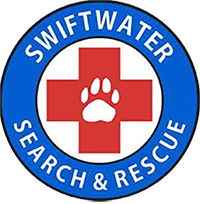 If you are interested in partnering or providing sponsorship please reach out to Chris Calcagni at Chris@swiftwatersearchandrescue.org. We would like to thank PEDIGREE Foundation for their exceptional support of our organization through its Disaster Relief Grants program. Their mission and ours are closely aligned and we’re honored to be partnering together to save and secure our four legged loved ones.